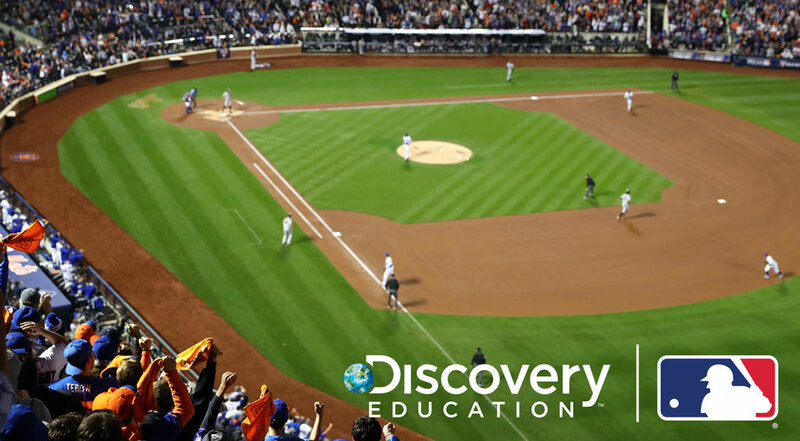 HOME RUN ⚾️ @MLB and @DiscoveryEd team up to take students out to the ball game to create science and #STEM engagement directly from their classrooms, http://bit.ly/2DbrTQE. SILVER SPRING, Md., January 15, 2019 /3BL Media/ – Major League Baseball (MLB) and Discovery Education, the leading provider of digital curriculum, content, and professional development for K-12 classrooms, today announced the launch of a new, multiyear partnership that brings Major League Baseball’s dynamic content into Discovery Education’s Science Techbooks. 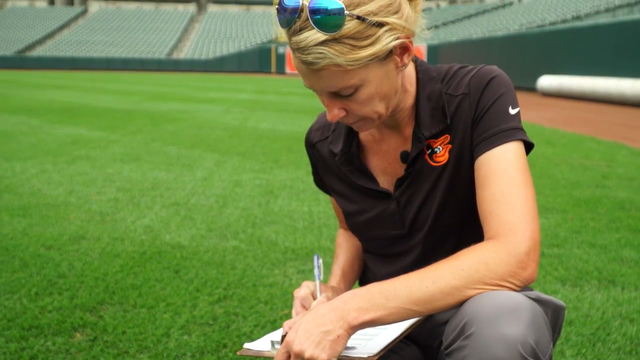 The partnership launched during a special event in the Baltimore County Public Schools’ Deep Creek Middle School, during which Nicole Sherry, Head Groundskeeper for the Baltimore Orioles, worked alongside area students as they analyzed turf samples taken from Baltimore’s Oriole Park at Camden Yards. The videos, which were produced by Discovery Education, showcase a variety of MLB careers and help students connect what they are learning in school to multiple career options in Major League Baseball, such as a groundskeeper, data analyst, and baseball operations executive. These resources will be available in the middle school and high school editions of Discovery Education’s Science Techbook, Discovery Education’s STEM Connect, and the Discovery Education Streaming Plus supplemental content service. Features authentic data from MLB’s StatCast, the state-of-the-art tracking technology that allows for the collection and analysis of a massive amount of baseball data. The baseball-focused STEM Project Starters challenge students to solve real-world questions, such as “how does stadium altitude affect the number of home runs hit there?” or “how does playing surface impact player speed?” These resources will also be available in the middle school and high school editions of Discovery Education’s Science Techbook. "At Discovery Education, we believe a strong background in science and STEM is critical to today’s students’ future success,” said Discovery Education President of K-12 Education Scott Kinney. "Major League Baseball shares this belief, and we are honored to partner with their talented team to bring students and teachers unique, relevant, real world content that drives the deeper student engagement in science and STEM that we know leads to improved academic achievement." Currently used by approximately 5.6 million students across all 50 states and Canada, Discovery Education’s award-winning Techbooks are fully interactive, comprehensive digital textbooks. pdated regularly at no-cost, all Techbooks are standards-aligned and provide educators a complete digital curriculum that includes detailed lesson plans, hands-on activities, digital simulations, and robust teacher support that immerse students in instruction.